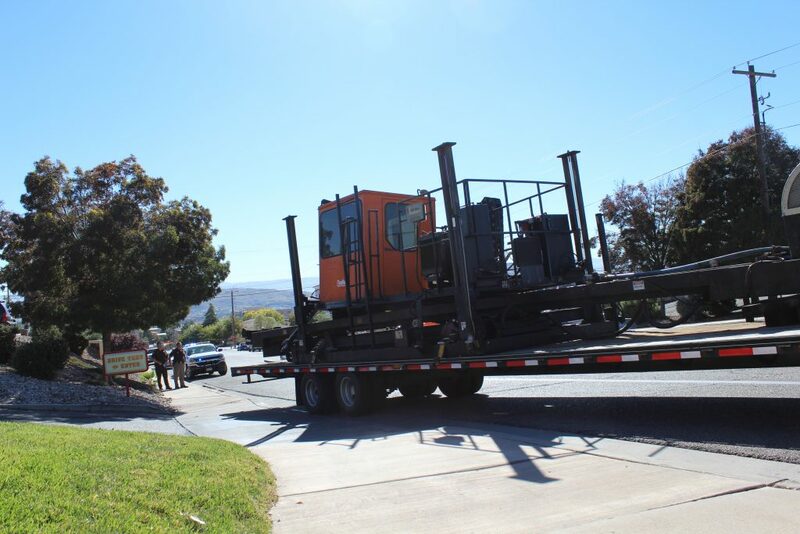 ST. GEORGE — Traffic was snarled and authorities had to call on heavy equipment to assist after an unsecured load of industrial machinery fell off a trailer temporarily blocking the roadway. 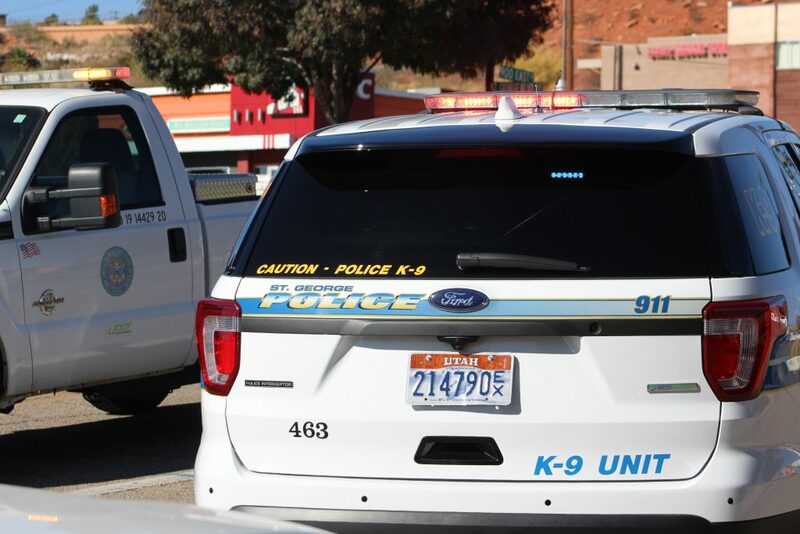 At around 1 p.m., St. George Police officers and Utah Highway Patrol troopers responded to the scene of crunched metal and splintered wood in front of La Botana restaurant Wednesday afternoon. 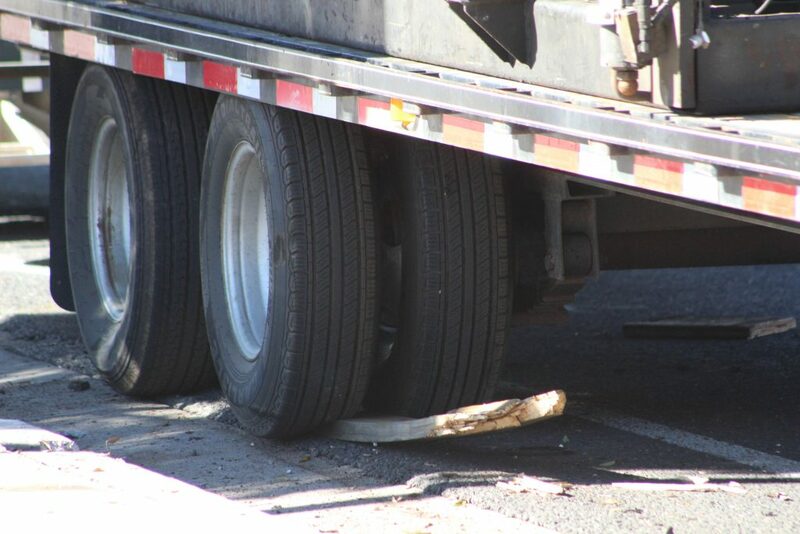 The driver of a truck with a trailer was traveling southbound on 900 East when, while turning left onto St. George Boulevard, the unsecured load fell off and crashed into the outside lane, St. George Police officer Tiffany Atkin said. 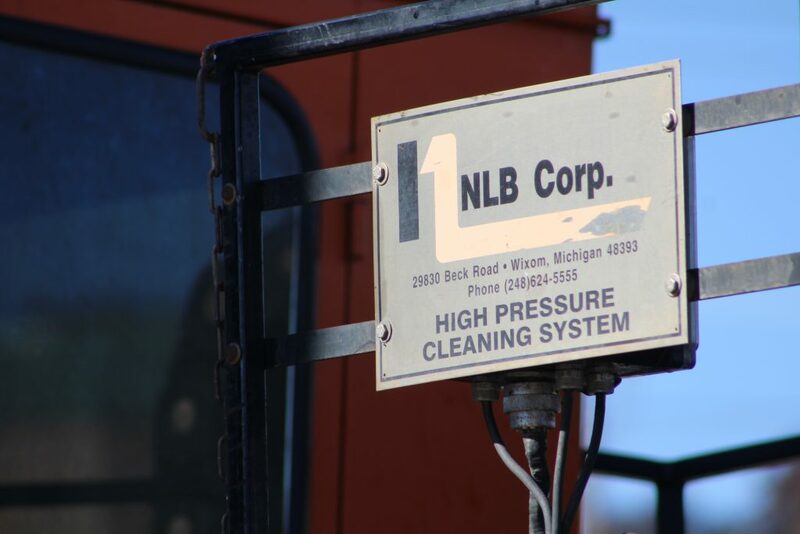 The equipment, weighing around 9,000 pounds, is a high-pressure cleaning system used to clean industrial heat exchangers. 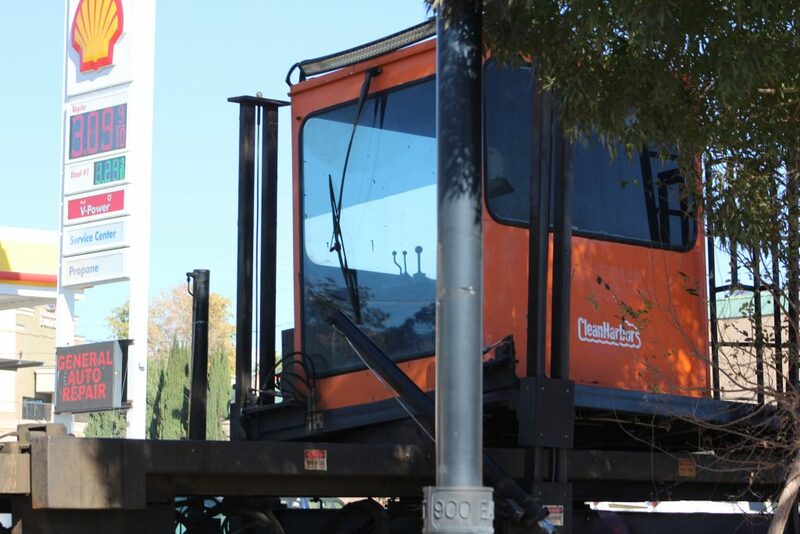 It was originally picked up in California where the driver said he had received clearance to travel and he took the shipper’s word that everything was secure. 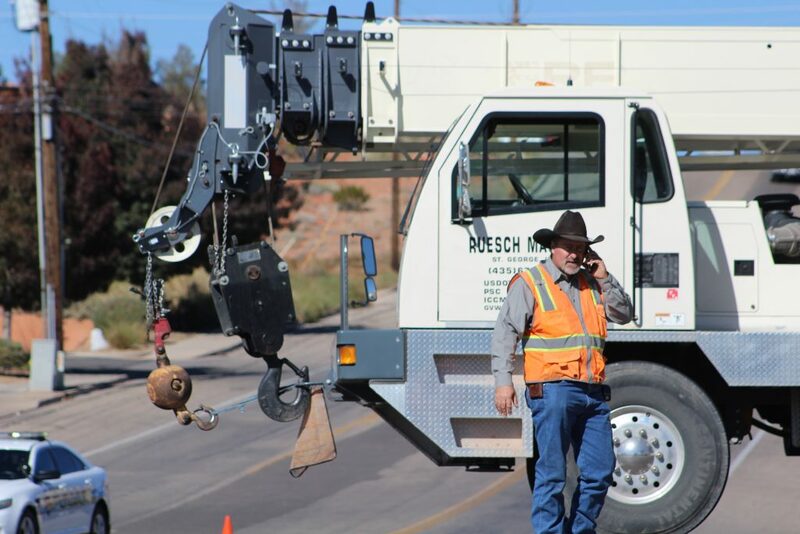 Traffic was disrupted was for a short time while a crane from Ruesch Machine removed the machinery from the road and placed it back on its trailer. Additional UHP troopers were requested to interview the driver and inspect his vehicle before he would be allowed to continue toward his destination. 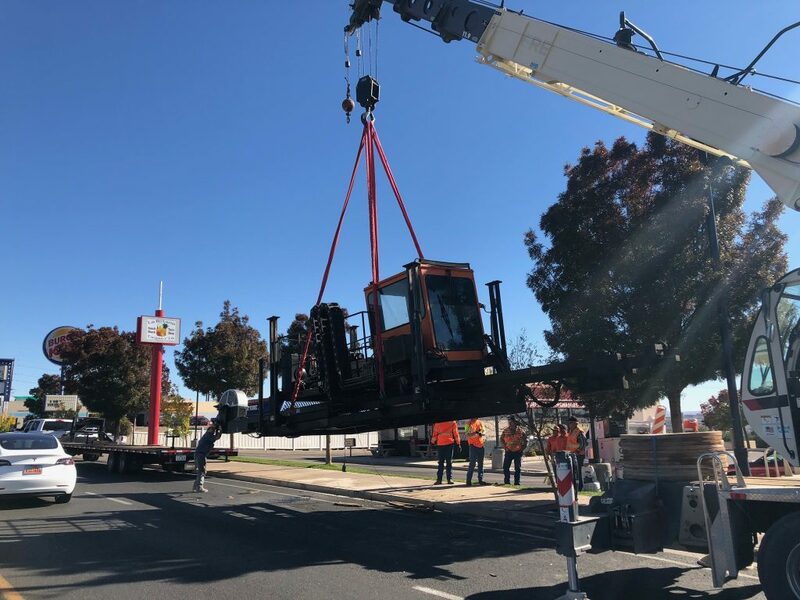 “They’re not going to let him move on right now until we make sure that he’s safe and that load is safe to go,” Atkin said. 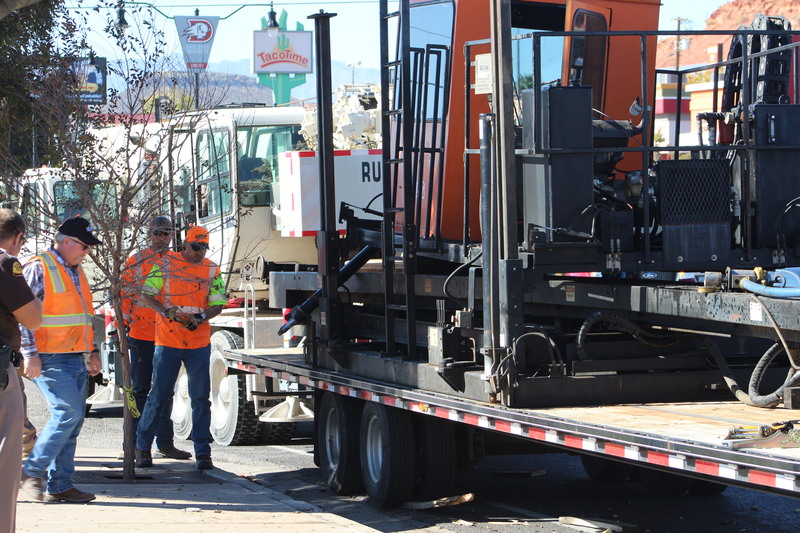 Atkin said she guesses he will at least be cited for an unsecured load because of the damage and the inconvenience that was created, but any Utah Department of Transportation violations would be determined by the UHP after further investigation. 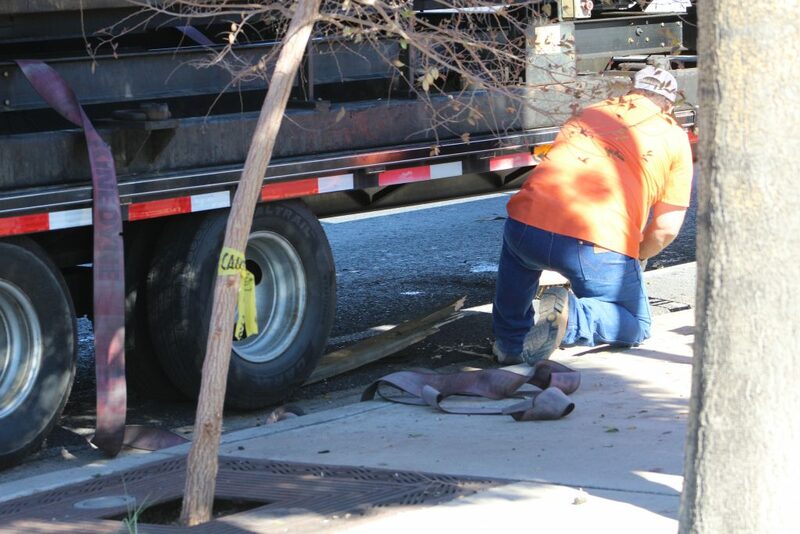 No other cars were impacted in the accident but a street grate owned by the state of Utah was damaged. A report from the AAA Foundation for Traffic Safety states that more than 200,000 crashes related to road debris were reported to police between 2011 and 2014, resulting in 39,000 injuries and 500 deaths. Nearly 40 percent of those deaths occurred when a driver swerved to avoid hitting something in their path. 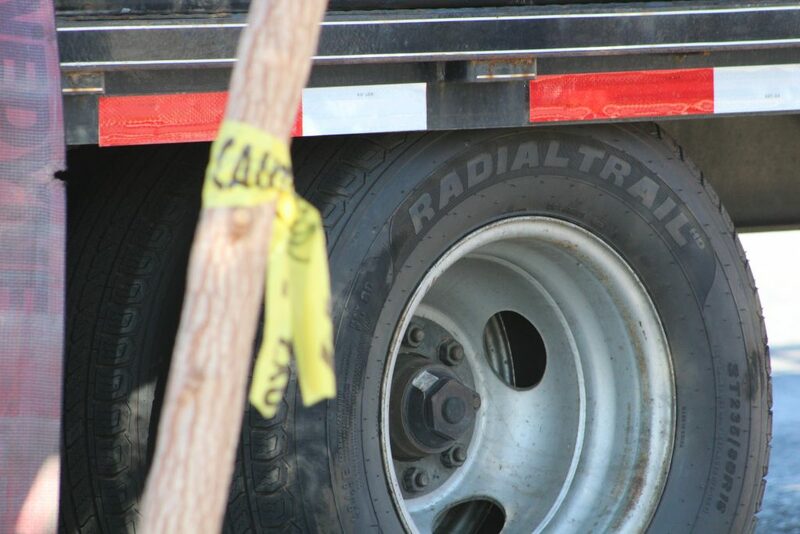 About two-thirds were the result of when unsecured loads came loose. “When you have a load like this, you’re responsible regardless if someone passes it on to you and says everything’s great, go ahead and go. That driver of that vehicle ultimately has the responsibility to make sure that load is safe and secured, he bears that burden,” Atkin said. Hello welcome to Mc……….s may I take your order ? LOL !